Any outside organization wishing to do research within the Newberry College campus should contact the Executive Director for Institutional Effectiveness, Sid Parrish, at sid.parrish@newberry.edu.  Studies completed on campus are subject to the supervision of the Newberry College Institutional Review Board. Once your request has been submitted, you will be provided additional information on the steps required to complete your project on campus.